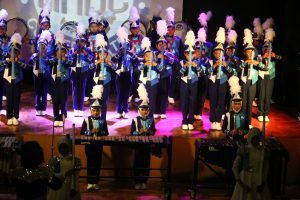 Asian Marching Band Confederation, also known as AMBC, is a non-profit organization established to assist in the development of Music and Marching Band Arts in our region. It was founded on 30th April 2016, heads from all over Asia gathered in Shanghai China to form alliance with AMBC. The first set of member countries that supported the organization are China, Hong Kong, Indonesia, Japan, Korea, Malaysia, Philippines, Singapore, Taiwan and Thailand. 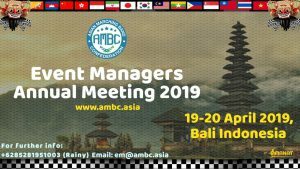 The AMBC Board of Directors is composed by Mr. Kosin Suebprasitwong (Thailand) as the President. With the span of just one year, AMBC manage to conduct various marching arts program that includes work shop / seminar for music and visual design. We have developed the AMBC Judging System and have become a trusted partner of many organizers to sanction marching band competitions. 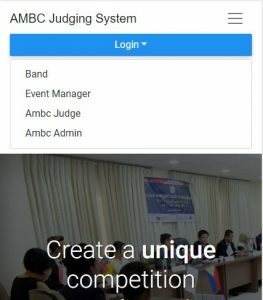 Currently we are developing an application called AMBC Judging System online. With this application it will make things easier in a championship. 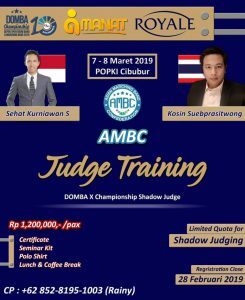 AMBC Judging System allows the trainer and all staff in your band to see the results of the Judges’ evaluations and listen to their comments at the same time without the need to wait for the printed results of the championship executive committee. You download the value document including recording the Judges’ comments as soon as possible.